We are one of the premier venues in the country for weddings. Recently voted ''Best Luxury Wedding Destination in Canada'' at the World Luxury Hotel Awards, our romantic lakeside historic property offers a 5 star Relais & Châteaux service combined with world class haute cuisine to create a stand-out venue for a memorable wedding. We have an event coordinator, Restaurant Managers, Sommeliers, and an entire team devoted to making your dreams come true. Our meticulous event coordinator, Julia Brouillard, is there to listen and guide the future newlyweds through the planning process so you can customize your wedding to suit your personality and style. With a planner and the promise of privacy, our brides and grooms have a lot less details to think about on the big day, leaving them free to mingle with guests, enjoy the celebrations, and find a relaxing moment alone. Our awards and distinctions speak for themselves. For two consecutive years, Manoir Hovey has been named in the Top 5 rated Hotels in Canada by Condé Nast Traveler Readers' Choice Awards. This 28th annual Readers Choice award is considered by most in the industry to be the highest distinction a tourism operator can aspire to. The concept is simple, consistent and transparent; the Condé Nast Traveler's Readers vote for their favorite hotel. The hotel rankings were determined by the votes of 128,000 readers among a list of 5,000 hotels around the world. 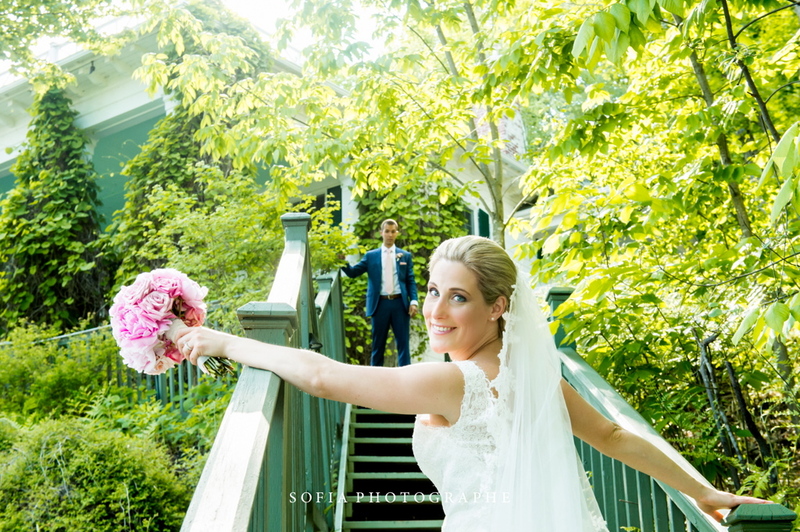 Manoir Hovey offers numerous options for tailor-made weddings. With panoramic lake views and manicured gardens in summer, or by a crackling fire amid a winter wonderland with snow falling gently over the frozen lake, your wedding at Manoir Hovey will be enchanting and unforgettable. Let our experienced and highly acclaimed wedding and culinary teams as well as magnificent grounds set the mood for your wedding celebration. *The rental fee for the reception room will be calculated according to the selected date, package and number of guests. Complimentary one night stay for the newlyweds in a luxury room with a four course dinner and gourmet breakfast. For a truly unforgettable and idyllic wedding experience, reserve the entire hotel for yourselves and have the Manoir Hovey team cater to your desires, tailoring and individualizing whatever experience you can envision. 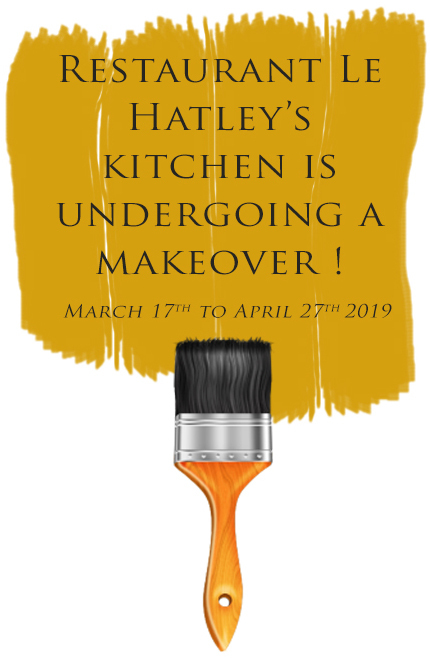 Come and make this special place your own. We would be delighted to help you and your loved ones create lasting memories that will forever tug at your heartstrings. "Planning our wedding with Manoir Hovey was a wonderful experience and we have Julia Brouillard and her team to thank. Their attention to detail and excellent service surpassed all of our expectations and gave us confidence that our wedding day would be great. Julia was always sincere to find solutions and make alternate arrangements when necessary - the word 'no' is not often used at Manoir Hovey! Manoir Hovey is a very special location, with impressive gardens and an award-winning restaurant. We are so happy to have been married here and look forward to visiting again in the years to come!" 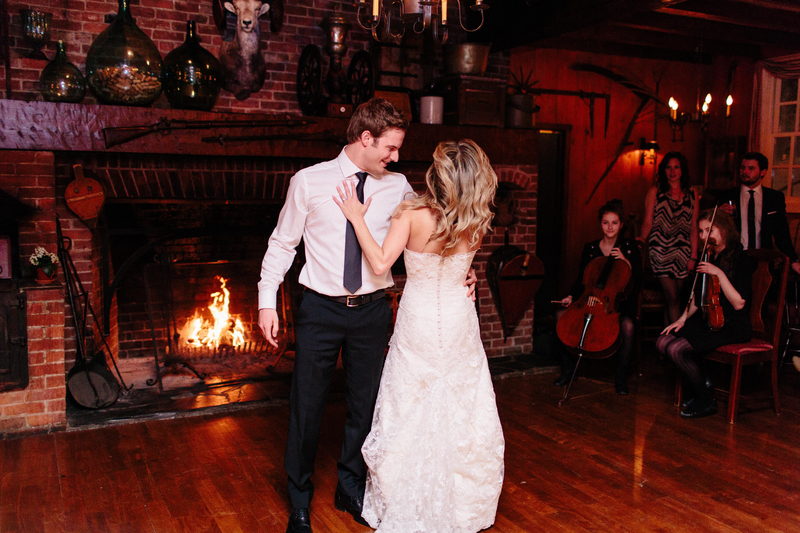 "My wedding was perfect thanks to Manoir Hovey. The food was delicious and plentiful, the staff were courteous and very professional. Everything went according to plan. I am so glad that we did change rooms, all my guests loved the charm and intimacy of the Tap Room. Our overnight stay was an added touch to a wonderful evening. Robert and I wish to thank you and your staff for everything you did to make our wedding so special. When I was planning the wedding I did not look for other venues, I knew I wanted my reception at Hovey. I was not disappointed at all. Once again thank you and perhaps I will see you next year for our first anniversary dinner and overnight stay at Manoir Hovey!" Weddings at Manoir Hovey are unique because we cater to your individual needs and wants. From day one, I am there to listen and guide you through the planning process and customize your wedding to suit your personality and style. I feel privileged to be sharing this special moment with you and I’m grateful to have the opportunity to contribute to your big day. Year after year, I’m excited to welcome back the married couple to celebrate their wedding anniversary. The relationships and bond that are built through the union are very precious to me.